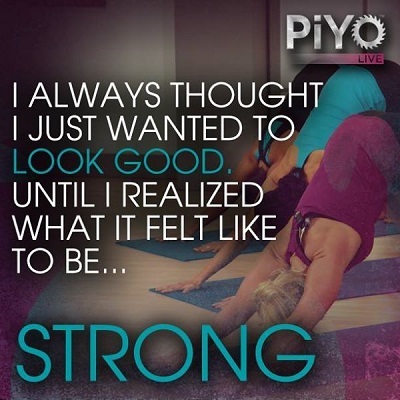 Looking for ways to get creative with your PiYo Eating Plan? 1) Take your cooked and cooled pasta and add in the veggies and protein. 2) Mix together with you choice of spices. 3) Add the mashed avocado and mix together to coat (similar to a mayonnaise). 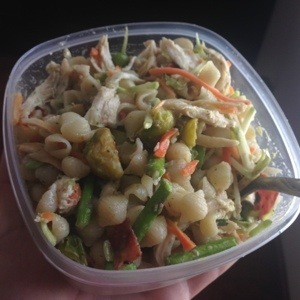 4) Enjoy your mayo-free veggie-filled pasta salad! This entry was posted in PiYo and tagged avocado, carbs, cooking, eat, fats, fitness, food, health, healthy, inspiration, lunch, macros, meal, motivatiom, muscle, pasta salad, pilates, piyo, progress, protein, recipe, results, strength, strong, vegetables, veggies, workout, yoga on July 6, 2014 by AngelinaFitness.